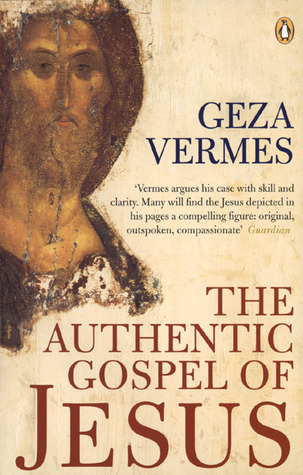 In The Authentic Gospel of Jesus, renowned biblical scholar Geza Vermes distils a lifetime’s knowledge to examine every saying attributed to Jesus and return to the true teachings of the man behind the messiah. Who was the real Jesus? What was the original message of the charismatic Jewish healer and moralist who changed the world? There can be no doubt that Jesus, ‘a religious genius’ as Geza Vermes describes him, lived and taught in Palestine some 2000 years ago. The influence he has had is incalculable. How though can we distinguish between the doctrines shaped to the needs of the burgeoning Christian church and the original views laid out by Jesus himself? How can we dig back through the additions, misinterpretations and confusions of later writers and two millennia of tradition to get back to the authentic gospel of Jesus? In The Authentic Gospel of Jesus, Vermes subjects all the sayings of Jesus to brilliantly informed scrutiny. The result is a book of unique value and novelty -scraping aside the accretions of centuries to come as close as we can hope to be to the true Jesus. Geza Vermes is director of the Forum for Qumran Research at the Oxford Centre for Hebrew and Jewish Studies. His books, published by Penguin, include The Complete Dead Sea Scrolls in English, The Story of the Scrolls and The Changing Faces of Jesus as well as the ‘Jesus’ trilogy: Nativity, Passion and Resurrection.